The Department of Theatre presents its season of shows, Theatre @ York, in two principal spaces: The Sandra Faire and Ivan Fecan Theatre and The Joseph G. Green Studio Theatre. The Sandra Faire and Ivan Fecan Theatre, located on the mainfloor of the Accolade East building, will be familiar to fans of So You Think You Can Dance Canada, which has used our stage in the final audition stage of the program. 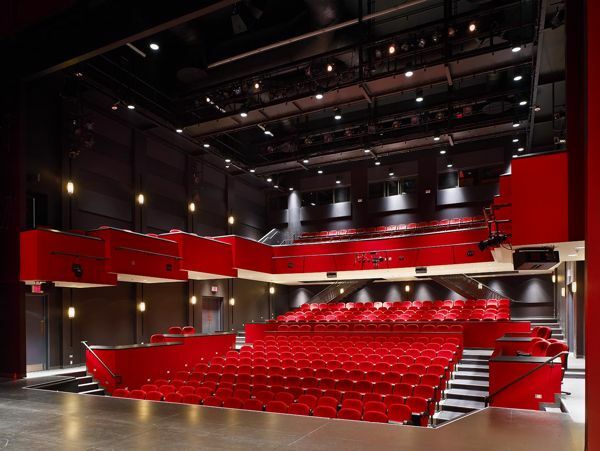 It is a 360-seat proscenium theatre which can accommodate a variety of events such as dance, theatre, musicals, conferences and lectures. First year theatre students meet in the Faire-Fecan Theatre for “Prime Time,” where guest artists and faculty speak about their work in the theatre.The theatre offers generous stage, sidestage, wings and backstage space, an orchestra pit, fly system and traps, loading dock, dressing rooms, and a comprehensive array of technical equipment. The audience enters the theatre through the CIBC Lobby, a dramatic 2,600 sq. ft. space fronting the Sandra Faire and Ivan Fecan Theatre and the Tribute Communities Recital Hall. It includes a full-service box office and coat check area. The Joseph G. Green Studio Theatre was built as part of the Centre for Film and Theatre. The theatre is a versatile ‘black box’ performance space ideal for small-scale events, productions and rehearsals. Seating configuration is flexible and may be adjusted to suit the layout of individual productions, with variable seating capacity up to 120. 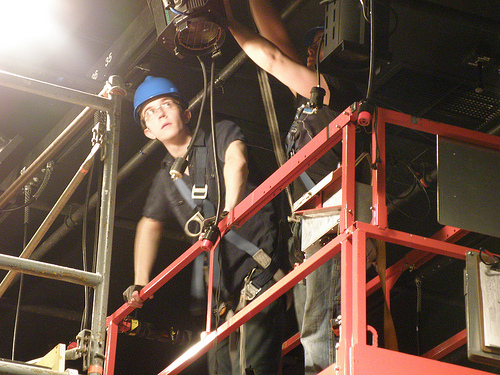 The theatre has a fixed lighting grid and comprehensive selection of technical equipment, and access to dressing rooms. 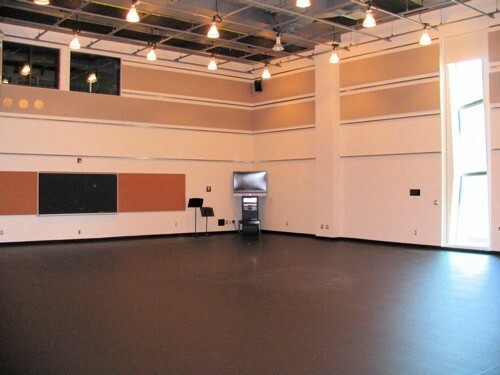 The Department of Theatre has seven dedicated acting/rehearsal studios equipped with mirrors, floors appropriate for movement, and, in some cases, limited lighting to support unmounted productions. All our studio/rehearsal spaces are used throughout the year for undergraduate and graduate classes like Intro to Acting THEA 1010; in the evenings and on weekends the spaces are busy with rehearsals for Theatre @ York shows, Unmounted productions and for homework for classes in Devised Theatre and Acting. The Robert and Julia Foster Acting Studio is the largest and newest studio, located in the Accolade East building on the second floor. With a dressing room and a booth for stage management, sound and lighting, the room can support limited production of unmounted shows. Studios can be found in the basement of Goldfarb Centre for Fine Arts, the north end of Atkinson, the second floor of Accolade East, and on the south side of the Centre for Film and Theatre. Production facilities at the Department of Theatre are second to none. 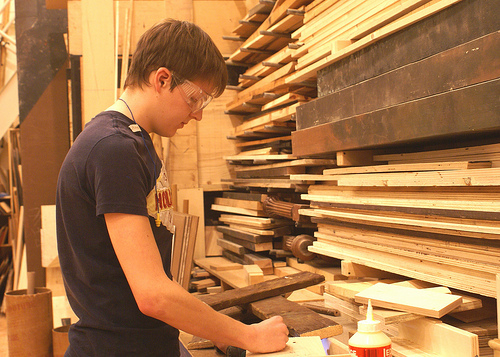 With well-equipped carpentry, paint, dye and costume shops, and a state-of-the-art lighting lab, students working on our Theatre @ York crews and in the production/design area of the dept. are supported with the right tool for the job and an exceptional staff to teach them how to use it.